Venus is one of the brightest objects in the night sky, so it’s not surprising that it’s been photographed many times. Some pictures of Venus have been taken from here on Earth, while other Venus pics have been taken from spacecraft orbiting the planet. You might be surprised to know that spacecraft have even landed on Venus (they didn’t last long), and took images of Venus from the surface. This is a picture of Venus captured by NASA’s Magellan spacecraft. It shows the entire surface of the planet, imaged by the spacecraft’s radar instrument, which can penetrate the thick clouds to reveal the surface below. Magellan was launched from the cargo bay of the space shuttle Atlantis in May 1989, and arrived at Venus on August 10, 1990. It orbited the planet for 4 years before plunging to the surface. This is another photograph of Venus taken by NASA’s Magellan spacecraft. Planetary scientists used the radar data captured by Magellan to build up 3-dimensional images of the planet’s surface. This is an image of the Eistla Regio region, which contains volcanos and impact craters. This was one of the first ever close-up photographs of Venus, captured by NASA’s Pioneer Venus spacecraft. It’s actually a false color image made from ultraviolet images of the planet Venus by the spacecraft. The Pioneer Venus Orbiter went into orbit around Venus on December 4, 1978, and released several probes into Venus’ atmosphere to study it. You might be amazed to know that spacecraft have actually landed on the surface of Venus and sent pictures back. The Soviets sent a fleet of Venera spacecraft to Venus, and several actually made it down to the surface. Here’s a color photograph of Venus captured by the Venera 13 spacecraft, which landed on the surface of Venus on March 3, 1982. This is a false-color image of Venus taken by the Venus Monitoring Camera on board ESA’s Venus Express spacecraft. It’s showing the planet’s southern hemisphere, including its south pole. The spacecraft captured the image when it was 35,000 km from the surface of Venus. Venus is my planet according to my horoscope. There are so many different versions of what Venus looks like. What does venus actually look like today. What a planet. I have a question. 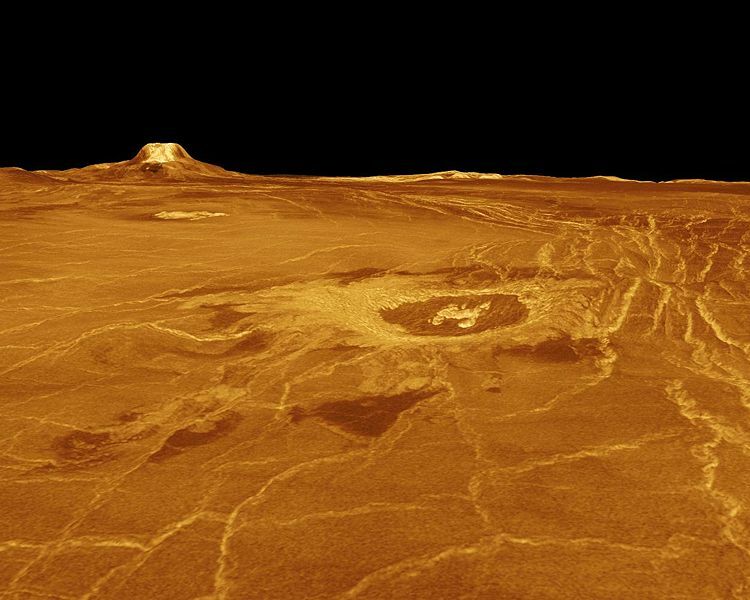 Does Venus change its surface? i ALWAYS see it outside right next to the cresent moon. i stand outside for like ten minutes looking at it and wondering how God made all these planets. He knew what to do when he made Venus! thats a good statement hannah. have you ever wondered is all this for nothing if we’re going to heaven?